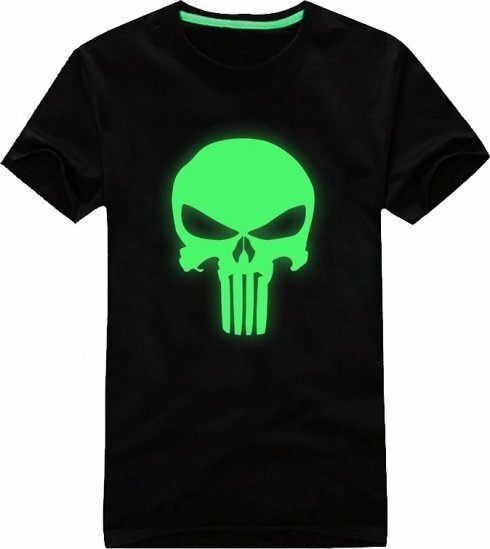 Fluorescent T-shirt with a pattern Punisher glows in the dark after charging by the light. 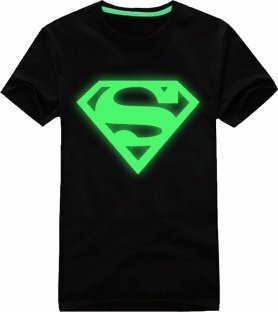 From minute to minute you will become one of your favorite heroes. Fluorescent T-shirt with a pattern Punisher glows in the dark after charging by the light. 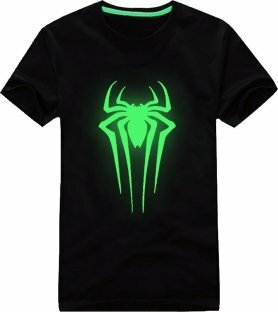 From minute to minute you will become one of your favorite heroes. 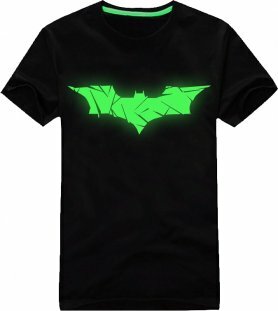 It is comfortable, loose and fits everyone. 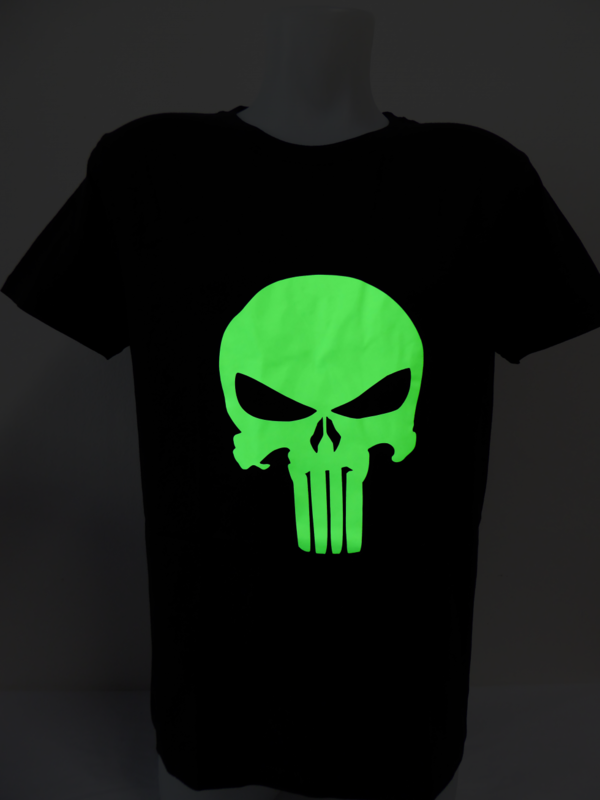 Is it possible to develop custom fluorescent T Shirts with our own image. 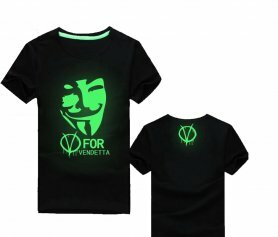 Sorry but its not possible, just designs we have in our offer..